Dr. Richard Gaunt delivered this most interesting address to the Society, outlining research that he had pursued into high-ranking families in Newark at this time, those who gained power over lesser townspeople by means of wealth and ownership of property. This, then, formed Dr. Gaunt's definition of patronage as it predominated, not just in Newark but throughout the land. Because these few had possession of the homes and businesses of an area and the land on which these were built, they also held the reins of power over the tenants of those properties. In the case of Newark, it was the fourth Duke of Newcastle who built up such a property empire between 1806 and 1851. By taking control of virtually the entire township in this way, he eliminated any political opposition to himself, for he could guarantee the votes of all those who needed to live in his property. Unlike today, there were no rights for those tenants; anyone could be evicted simply for failing to support his landlord in an election. Nor was there the security of a secret ballot; the vote of each person would be revealed. Eviction inevitably meant homelessness, with no possibility of a replacement roof over one's family. It was the dragon to be feared above all other adversaries, and there was only one option to evade it. It went without saying that a patronage-holder could impose such laws as he saw fit, with no reference to the wishes of the ‘electorate’. Whilst the fourth Duke of Newcastle was not without a gentler side to his personality, he was very much a local despot who would not be swayed by anyone. The essential characteristic of patronage was its tendency towards corruption.Patronage figures were ‘borough mongers’ in so much as they held the sway over others who would stand for Parliamentary seats. It was not unknown for seats to be purchased on behalf of their favourite candidates, nor for the canvassing costs of their nominees to be borne by them, or at least shared. Author John Wade had earlier written of the dangers of patronage in his ‘black book’, advising that changes would have to come. Though such changes were the basis of the 1832 Parliamentary Reform Act, that only provided a start; it still had many imperfections. It did not inhibit the fourth Duke of Newcastle from retaining unchallenged power in Newark; nor did it prevent him from taking half the burden of election expenses on behalf of William Ewart Gladstone, then a Conservative, as the latter stood for Newark's second seat in 1832. Even peerages were offered to male family members of patronage-holders, in recognition of the esteem of their family heritage, although it is true that not all wished to take these up. It was the Duke's stepfather, Charles Gregan Craufurd who was perhaps responsible for his stepson's authoritarian attitude. He had brothers of a military rank, and he assumed from them a regard for discipline and an expectation that others should answer to him. Craufurd grew up with a sense of superiority from the start. Not only did he need power for himself and his family, he expected to get it, and pursued his life to this end. He always sought for top rewards that his offspring would inherit. Finance was key in his pursuit, and he was quick to assist his family so that funding was available for them, too, to acquire power. His stepson, later the Duke of whom this report speaks, was in this way influenced, and, beginning his career on a firm foundation both financially and in terms of political status, followed eagerly in those footsteps. By 1809, he was in a position to challenge the third Duke of Portland, who had held the balance of power in Nottinghamshire, and ask for rights that he felt were justifiably his, owing to residence in the county. 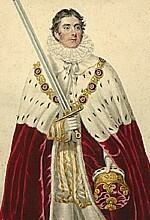 The fourth Duke of Newcastle quickly became instrumental in putting forward his own nominations for Parliamentary seats. This meant that his family and personal friends were all named. The Clinton family, whose name is known through the inn that was owned in Newark Market Place, were amongst those nominees, as Henry Clinton was the Duke's cousin. In 1818, however, this man was rejected as he became ill and was considered by the Duke to be unsuitable to continue. In 1832, the Duke's son, then the Earl of Lincoln, was nominated for South Notts; he was to be the man to ‘keep the flag flying’ for his family. John Denison of Ossington, whose widow funded the Ossington Coffee Palace after her husband's death, was another who benefited from the Duke's recommendation. Lord William Bentinck, the younger son of Portland, also retained power inherited from his father. Not all nominees were noticeable for their presence in the town. Suitability depended upon the recommendation of the patron more than on proven practical merit, and this was offered to those already of high station. Those who were not of such station remained unrecognized in the town; their true potential was never tested. As the proverb puts it: ‘It's not what you know that matters; it's who you know’. This was never truer than for political patronage in Newark. Even the Duke's political agents had to be recognized family names: E.S. Godfrey held that office until 1826, and then W.E. Tallents. These are reflected in the firm of solicitors still in operation. Gladstone, nominated by the Duke as a Conservative member for Newark, received constant support from the latter, again through family connections. Yet a later development reveals a curious discrepancy in the Duke's egotism. In 1845, when Gladstone and the Earl of Lincoln – the latter Newcastle's own son – found themselves in disagreement with the Duke, all support was promptly withdrawn. Thus Sir Robert Peel was able to achieve the repeal of the Corn Laws, despite opposition from both the Portland family and Benjamin Disræli. The lesson from this, though, is that the fourth Duke of Newcastle knew no loyalty to any person unless he was himself supported fully. Opposition and attitude that he disliked would be overridden without consideration, even if it came from his own flesh and blood. Self-ego and self-purpose were his priorities throughout. Agreement with him was essential for approval by him, and the reward of his backing. He wanted to win power for his family after him, but that had to be on his own terms. Deviation from this meant, if not actual political death, the handicap of his disdain. The patronage system was clearly distasteful and unfair, as it effectively excluded untested possibilities, everything and everybody except the fortunate favourites of the person at the top, whose status depended hugely on wealth and consequent authority over many dependents. Finance and empire-building were the keys to overall control and even choice of successor. Yet the system continued for much of the nineteenth century, and has not altogether been overcome today. Newark was a particularly marked example of it. © Roger Peacock for NALHS: 10 th October 2013. This page was added by ROGER PEACOCK on 28/10/2013.